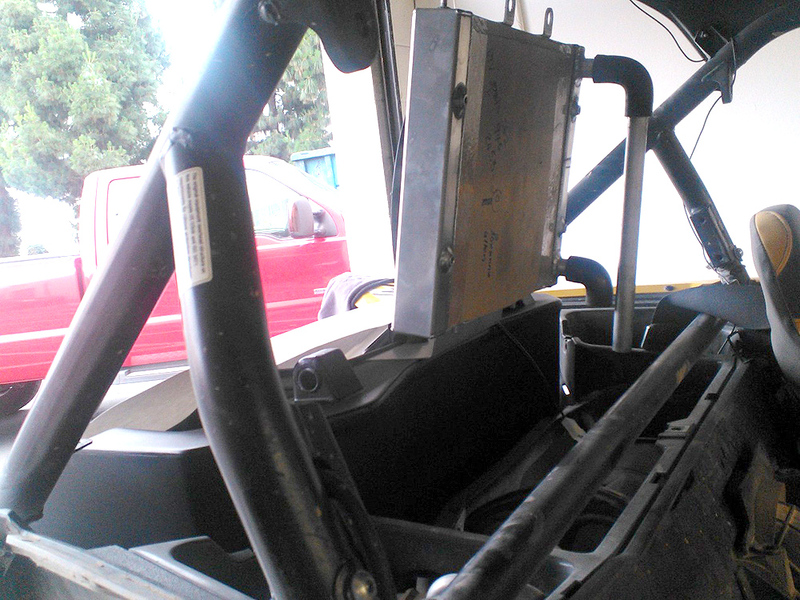 Just released Yamaha YXZ1000R rear mounted radiator. 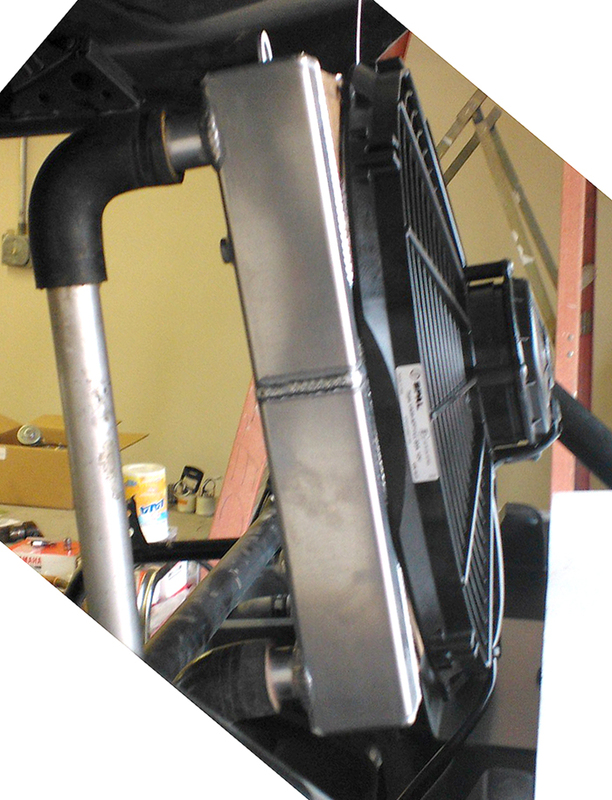 Unique radiator specifically designed for rear mounting position. 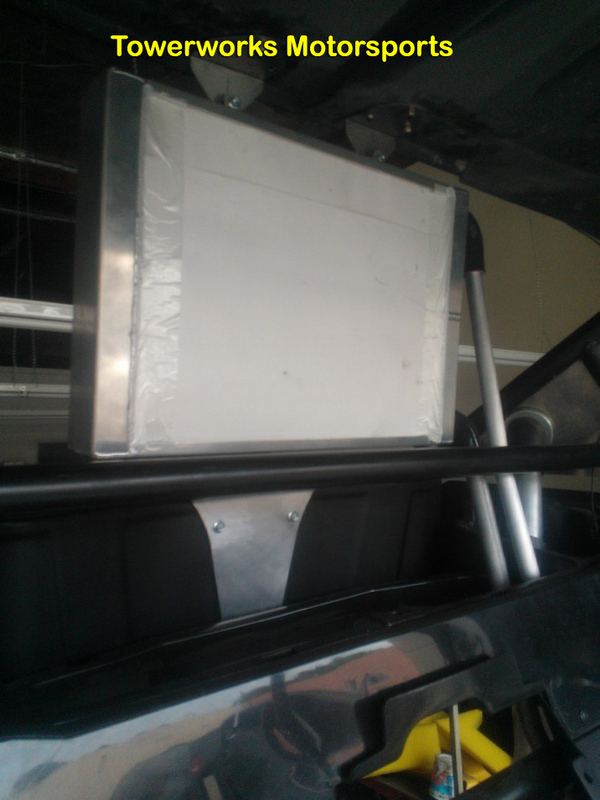 Mounted between cargo box and stock roll cage and Yamaha roof. Comes with 14 spal fan. 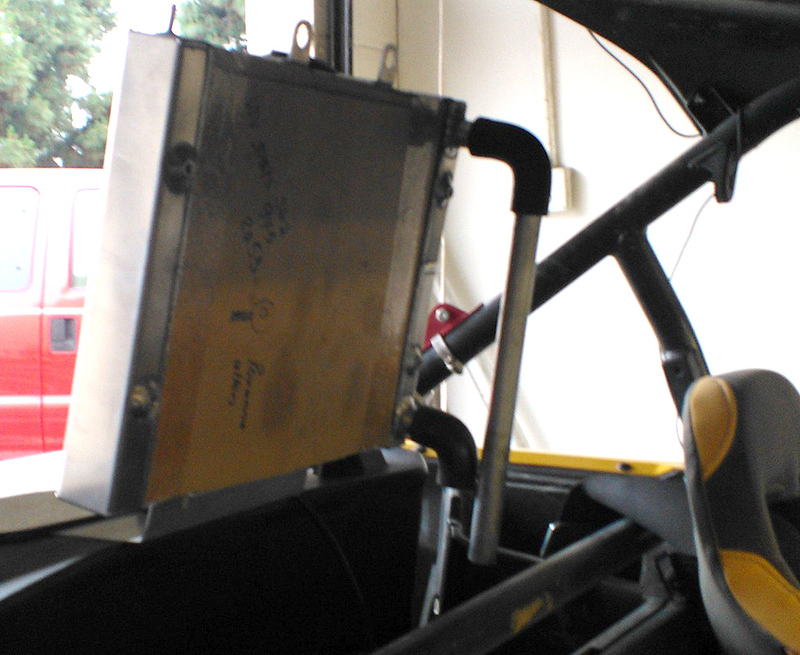 Billet aluminum mounts to cargo box. All aluminum water pipes with high grade rubber elbows and hose clamps. 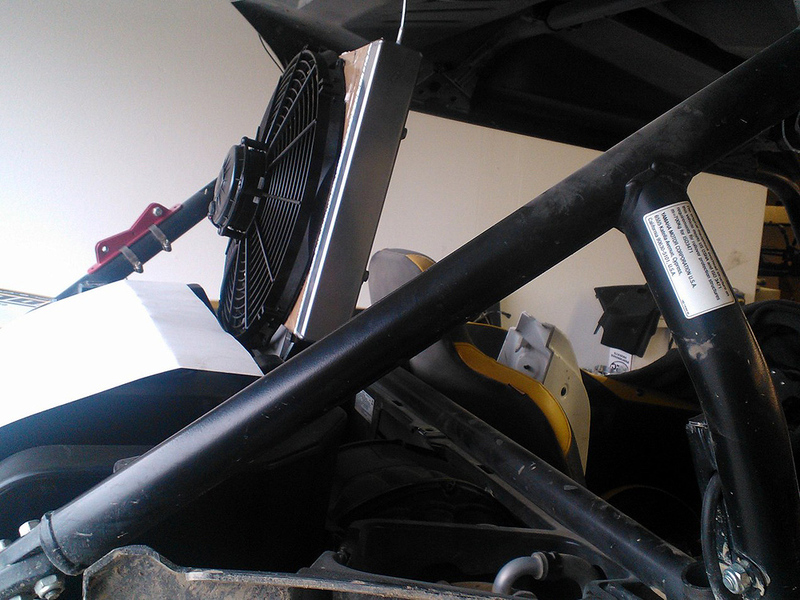 Special upper radiator mounts available on request. Please note, new photos coming SOON!